Δελτίο τύπου: «Twelve is a labour of love written and pieced together over a two-and-a-half year period. While it isn't intended as a concept album, the songs are linked together with a common thread delving into aspects of the human soul, effectively creating a chapter-by-chapter story. This idea is cemented by the album booklet created by Thomas Ewerhard. Another important aspect of Twelve's creation was Scarpeccio's and Tiberi's insistence that Kusch and LePond take part in the recordings, song arrangements, promo shoots and video clips in spite of the geographical distances separating them. Drums were recorded in Sweden, bass in New Jersey, with guitars and vocals laid down at home in Italy. Masterplan keyboardist Axel Mackenrott was brought in to play on "Taken" and Feliziani returned as a guest musician for the other songs. Mixing and mastering fell to famed metal producer Jens Bogren, known for his work with Arch Enemy, Symphony X, Devin Townsend, Angra and Opeth to name a few. The icing on the cake, however, was getting Dream Theater vocalist James LaBrie to sing on three tracks: "President Evil, "Taken" and "A Place In Heaven". 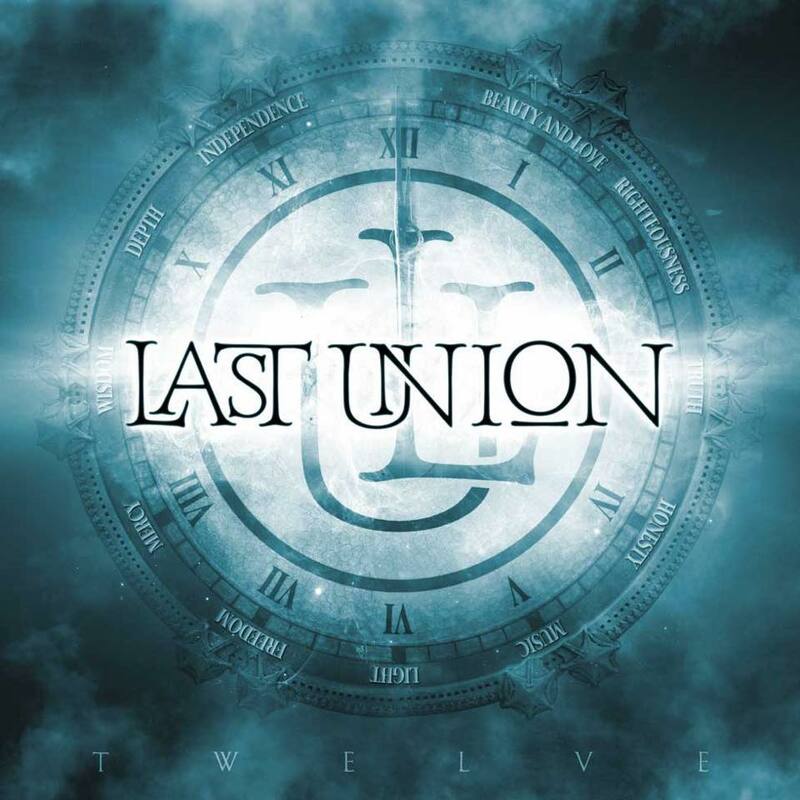 It was another bold move for Last Union and one that one that ultimately paid off following six months of consideration on LaBrie's part. Satisfied with the quality of the songs he recorded his vocals, with stellar results that are guaranteed to attract the attention of LaBrie fans the world over. Last Union don't hide from the fact that inviting LaBrie to participate was a calculated move to draw attention to their work, but as Dream Theater is one of the band's many influences it was a dream come true to genuinely collaborate with him. On top of that, LaBrie's voice suited the chosen songs perfectly and acted as an effective contrast to Scarpeccio's. 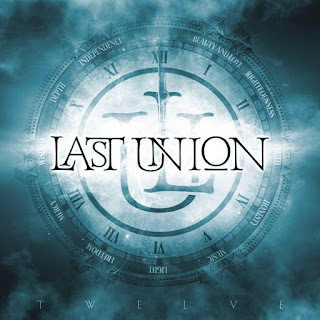 • Sensational debut album “Twelve” by Italian Progressive Metal / Melodic Rock band Last Union. • “Twelve” is released by ROAR! Rock Of Angels Records. • Featuring James LaBrie on vocals (Dream Theater). • Featuring Mike LePond on Bass (Symphony X). • Featuring Uli Kusch on Drums (ex-Helloween, ex-Masterplan). • Featuring Masterplan keyboardist Axel Mackenrott on the song “Taken”. • Mixing and mastering done by the famed metal producer Jens Bogren, known for his work with Arch Enemy, Symphony X, Devin Townsend, Angra and Opeth.